From 'red-list endangered' to extinct. We interrupt our series on graffiti at Dura Europos to bring you a special announcement. In the midst of our sadness and grief at events in Syria, comes one wretched extra ill omen (as if more were needed): the tiny breeding population of the Northern Bald Ibis in Palmyra has collapsed. This year, only Zenobia (left) returned to the breeding grounds in the Syrian desert not far from Palmyra after the winter's migration to the Ethiopian highlands. 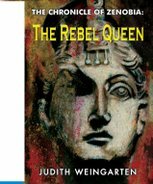 We have been following Zenobia's story from March 2007 (Zenobia's Triumphant Return to Palmyra) with further hopeful updates with the Latest News in 2011 and 2012. This looks ominously like it may be the end for the relict eastern population of the species, having been rediscovered in 2002 when there were 3 breeding pairs. Despite huge efforts the colony dwindled to just one pair in the past two years and now it seems to just the one bird. The Palmyran ibis colony discovered in 2002 never rose above 13 birds. They were the last of a Middle Eastern population that once numbered several thousand; and the bird was classified as critically endangered – the highest level of threat there is. 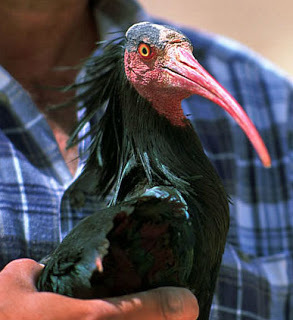 The northern bald ibis, Geronticus eremita, is a large bird with black plumage that flashes irridescent purple and green when the light strikes it, with a bald red face, red bill and legs, and a strange crest of long feathers on the back of its head, which makes it look as though it is wearing a feather wig. It is usually silent but hisses and grunts (like an angry queen) when at its nest and in display. 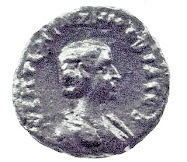 Zenobia is now alone; and soon there are none. Top: Zenobia the ibis, during satellite tagging at Palmyra in 2006. Photo courtesy of G. Serra (via NATGEO News Watch). 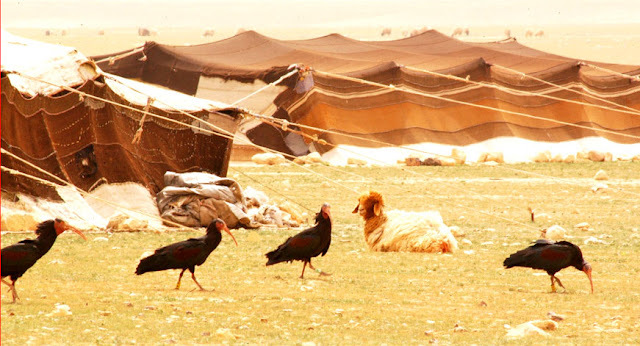 Middle: Last Syrian ibis among bedouin tents. Photo credit: M.S. Abdallah (via SEO/BirdLife). 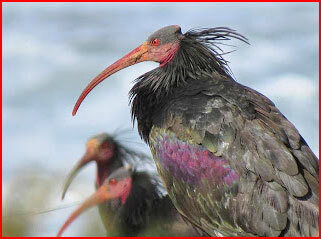 Below: Northern Bald Ibis. Photo credit: Brian Stone (via SEO/BirdLife). Can it be said that man definitely caused the end of this little colony over the last decade or just chance? Very sad nontheless. Hundreds and thousands of migratory birds, including many that are protected under international wildlife treaties are destroyed by man-made barriers such as power lines, tall buildings, wind turbines and communication masts. Using satellite tracking and, with National Geographic support, IUCN has recently identified the two most likely severe causes of the huge mortality of immature ibises along western Arabia: hunting and electrocution by electric cables. This discovery has important and general conservation implications, as the ibis migratory route along western Arabia is a major flyway used by other threatened long-range migratory birds as well.